hjem » nyheder » Youth for global partnerships Transforming our world by 2030 – how to get there! “Strengthen the means of implementation and revitalise the global partnership for sustainable development”. So is stated in the last of the 17 Sustainable Development Goals spearheaded by the United Nations. All though one might find that this task is highly aimed at governments, politicians and economists, it is important to recognize that we all play a role in the implementation of the SDGs. This naturally raises the question – how can we, as youths, as students and as NGOs contribute to the realization of this goal? In IMCC we work with this exact goal by forming partnerships across borders – working in collaboration s. This we do with students organisations in eight different countries. Since every organisation has different strengths and weaknesses, working in cooperation is a unique opportunity for exchange of ideas, knowledge and experience. By this, we have been able to learn from each other and strengthen our skills in terms of fundraising, knowledge on global health issues and organizational facilities. Apart from the element of capacity building that our projects provides, working in partnerships with people from all over the world enriches every single volunteer with a new insight into different cultures and ways of solving problems, and thus prevents development of narrow-minded views. We find this last part to be highly important in these days where xenophobia and fear of other cultures characterizes the world. Our partnerships are characterized as an equal, interactive companionship based on mutual trust and respect. It is important to recognize that all organisations benefit from the partnership, thus breaking with the traditional view on development work. This is an important milestone that should be reached to be able to implement the SDGs in solidarity. Finally, one should always have in mind that all 17 of the SDGs are interactive, and thus working with one goal is naturally related with reaching the rest of the SDGs. An important point is that realization of all SDGs requires people who are well-informed and in possession of several competences and experiences. Since no single man, NGO or country can be experts in all fields regarding sustainable development work, the cooperation with others is not just highly important, but an absolute necessity to be able to reach the SDGs. From this perspective, one might even argue that the formation of partnerships and the implementation of goal no. 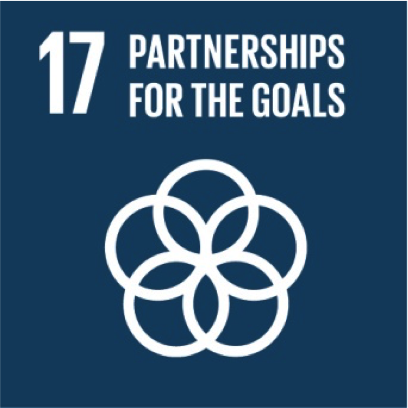 17 builds the foundation for carrying out the rest of the SDGs, and thus is the first step towards transforming our world by 2030.